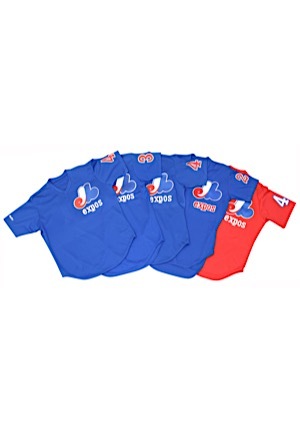 A grouping of four blue and one red Montreal Expos player-worn Spring Training/batting practice jerseys. 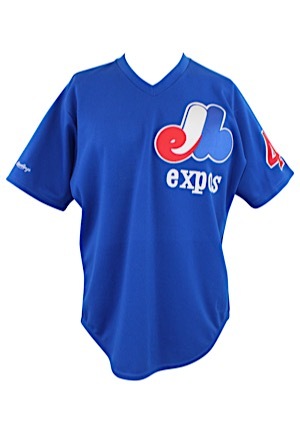 Rawlings and Wilson manufactured jerseys with the Expos team logo on the left chest and the player number on the back and on either one or both sleeves. 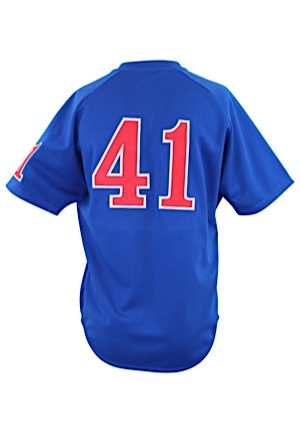 These jerseys are properly tagged and were presented to us as Spring Training and/or batting practice worn.